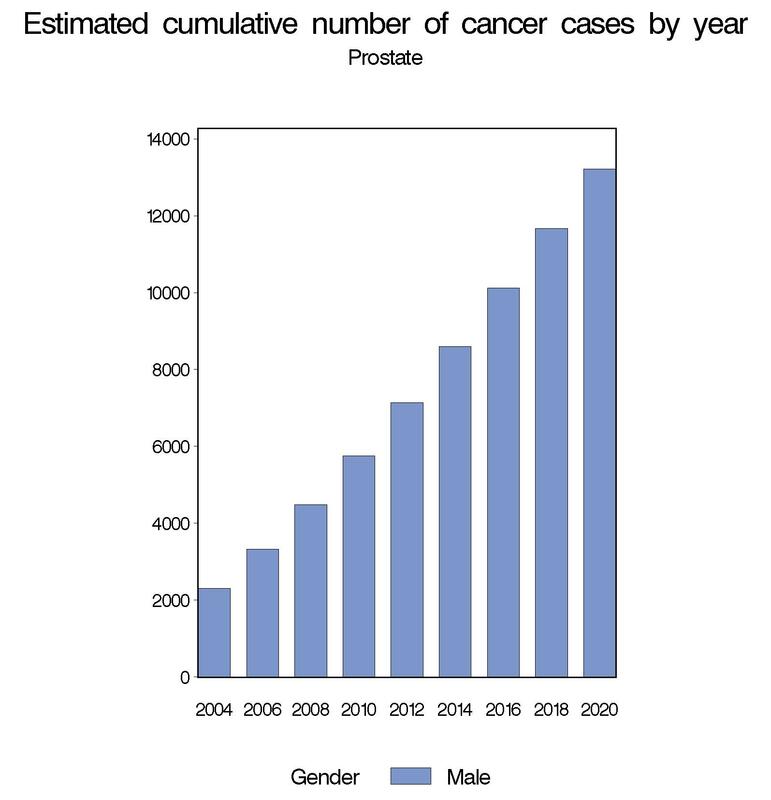 From the recruitment of study participants in 1992 – 1999 until 2009, the cohort accumulated more than 6 million person-years (PY). 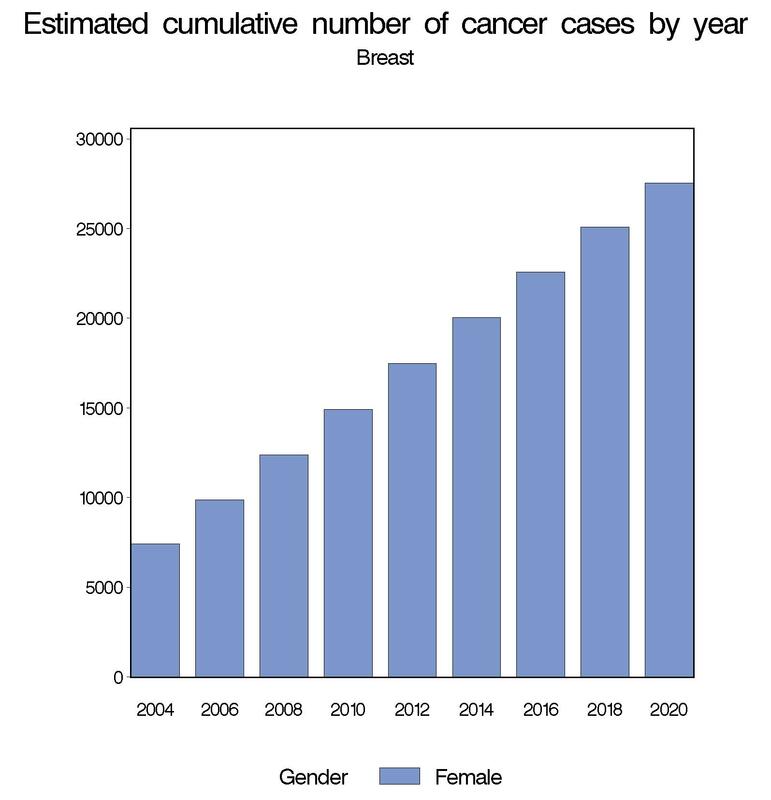 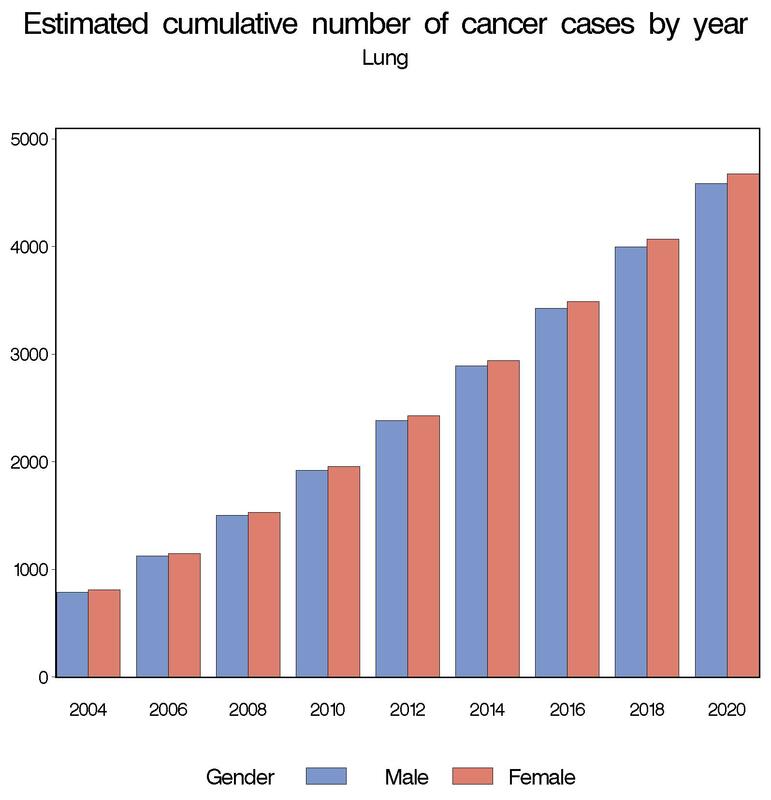 More than 47 000 EPIC participants were diagnosed with cancer (Table 1), including about 13 000 cases of breast cancer, 3500 of lung cancer, 5300 of colorectal cancer, and 5100 of prostate cancer. 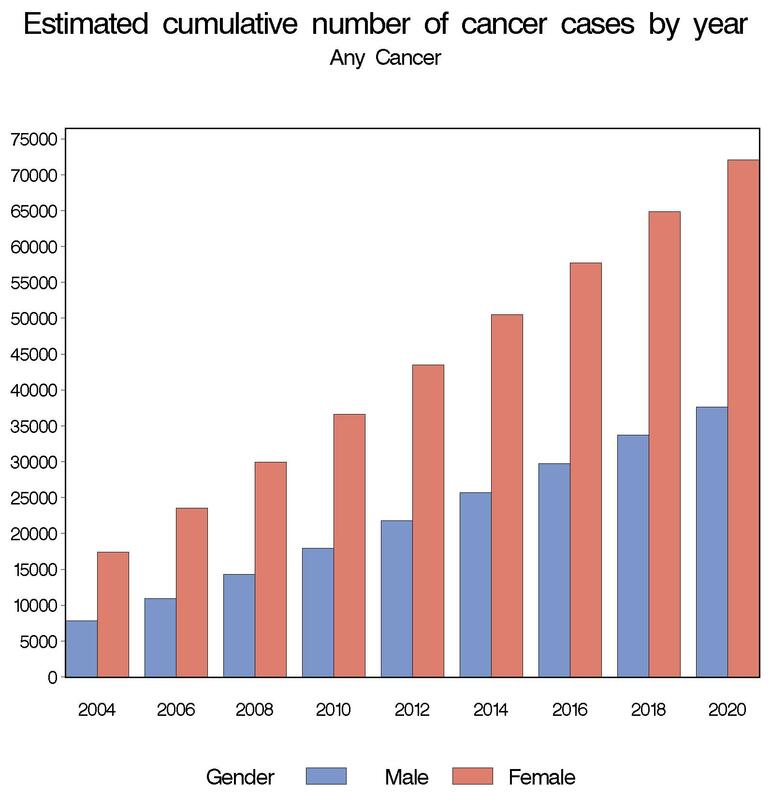 Also, 37 000 deaths were reported, and 8500 participants developed at least two incident morbid conditions (including cancers, diabetes, and cardiovascular diseases), thus allowing investigation of co-morbidities. 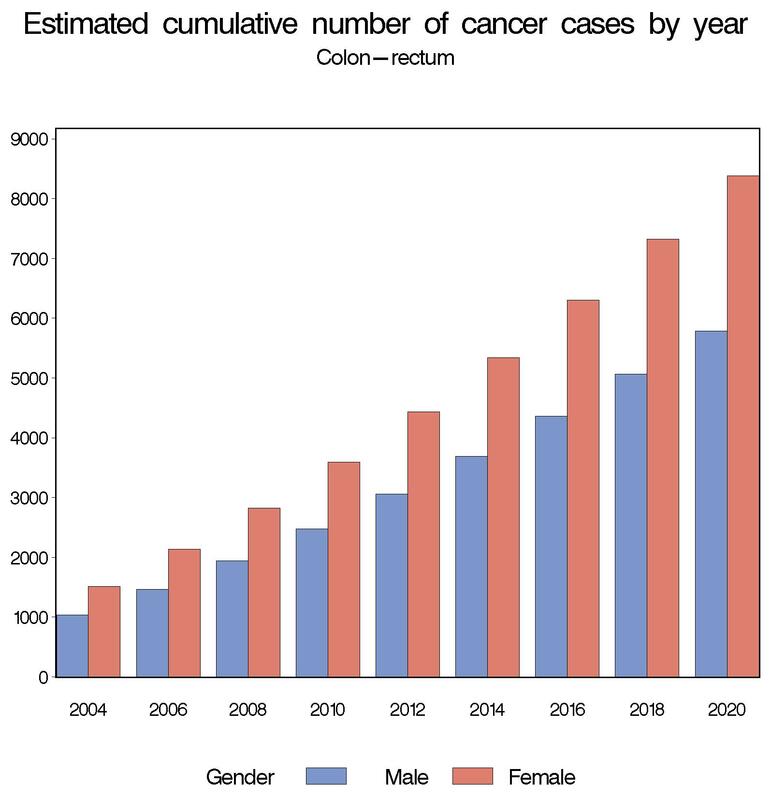 By 2015, the number of cancers that may develop in the cohort is projected to increase to more than 96 000 and will include approximately 25 000 cases of breast cancer, 12 000 of colorectal cancer, 8000 of lung cancer, 10 000 of prostate cancer, 2000 of gastro-intestinal cancer, 4400 of bladder cancer, 2500 of pancreatic cancer, 3700 of endometrial cancer, 1000 of liver cancer, and 1300 of thyroid cancer (Table 2). 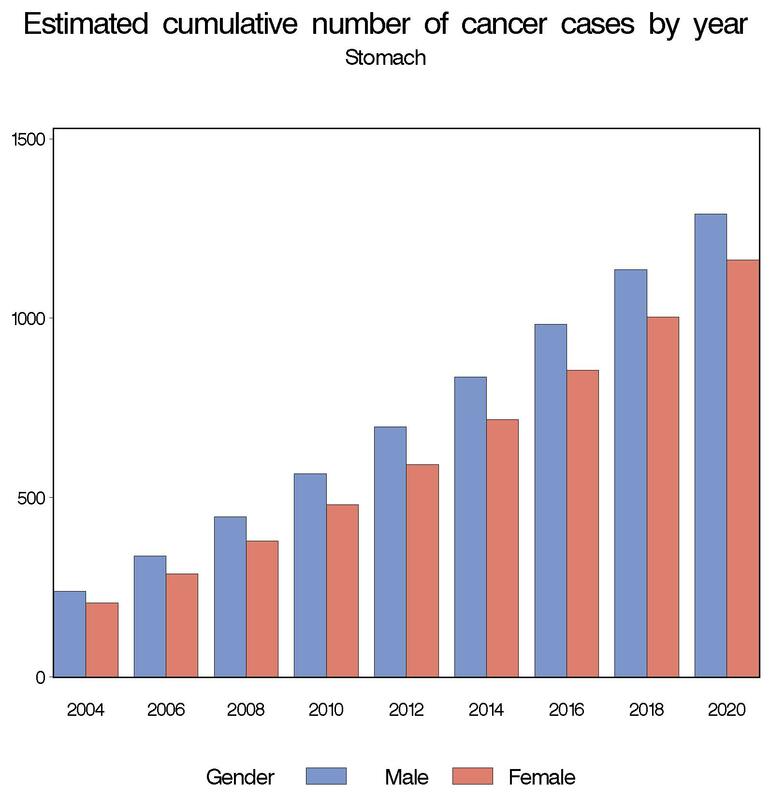 The large number of incident cancer cases with prospectively collected lifestyle data and blood specimens will allow EPIC to address state-of-the-art hypotheses about the etiology and prevention of several forms of common and rarer cancers.